Rear Adm. David Goggins took command as Program Executive Officer (PEO) for Submarines late last week, replacing the retiring Rear Adm. Michael Jabaley. Goggins has led the Columbia-class ballistic missile submarine (SSBN-826) program since 2015, seeing that program – which Navy leadership frequently calls its top acquisition priority – through its Milestone B acquisition decision and into the construction of the common missile compartments. Goggins will now step up into the PEO role, commanding all the program offices – the Columbia program, the Virginia-class attack submarine program, undersea weapons, undersea defensive systems, special operations forces mobility programs and more. Prior to his work on the Columbia program, Goggins led the Virginia program office from 2012 to 2015. He also helped lead the Ohio-class guided-missile submarines (SSGN) conversion project at SUPSHIP Groton, was the Seawolf –class project officer at SUPSHIP Groton, and worked for the Undersea Warfare Directorate on the chief of naval operations’ staff (OPNAV N97). “We’ve been charged with growing the submarine force for the Navy the nation needs,” Goggins said during the Aug. 17 ceremony. Jabaley retires from the Navy after 34 years in the Navy. 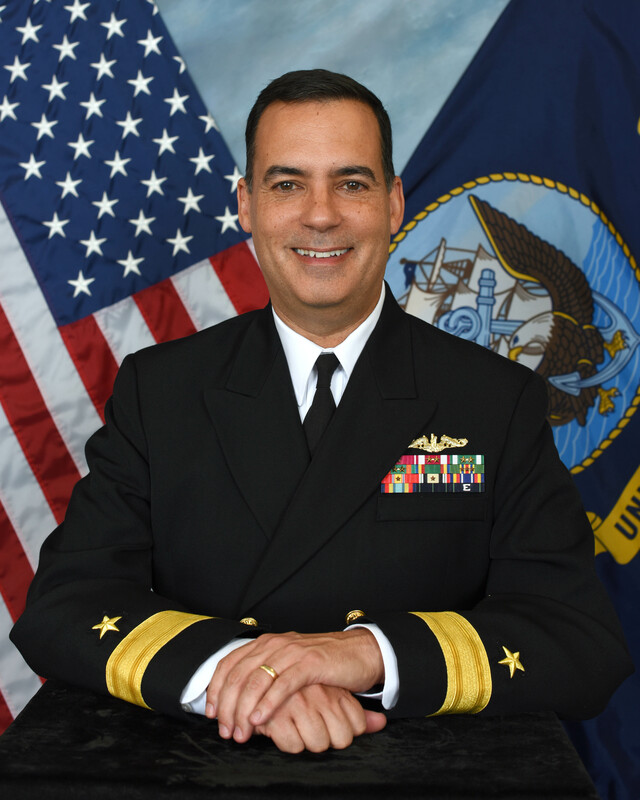 The Vanderbilt University graduate commanded USS Louisville (SSN-724) from May 2002 to August 2004, served as deputy commander of Submarine Squadron (SUBRON) 1 in Pearl Harbor, worked in the Virginia-class program office from 2006 to 2012 – the last four years as program manager – and then Naval Sea Systems Command (NAVSEA) vice commander, commander of Naval Undersea Warfare Center and NAVSEA deputy commander for Undersea Warfare upon selection for flag rank in 2011. Jabaley assumed command of PEO Submarines in October 2015.